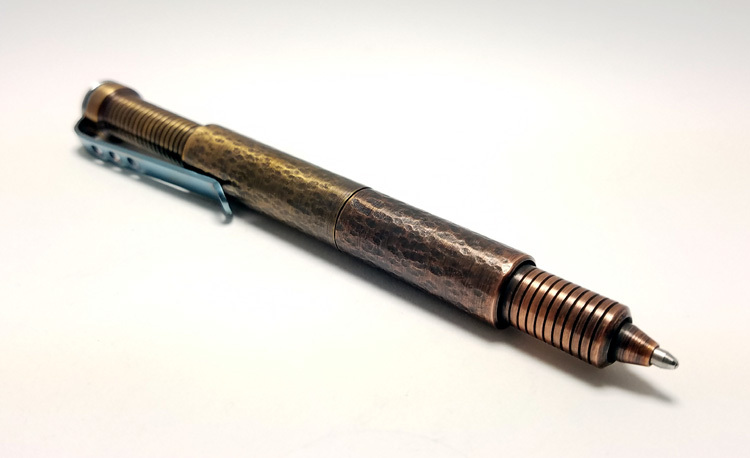 OAL: A little over 5"
Made by hand on a manual lathe from Copper, Brass, or Aluminum. 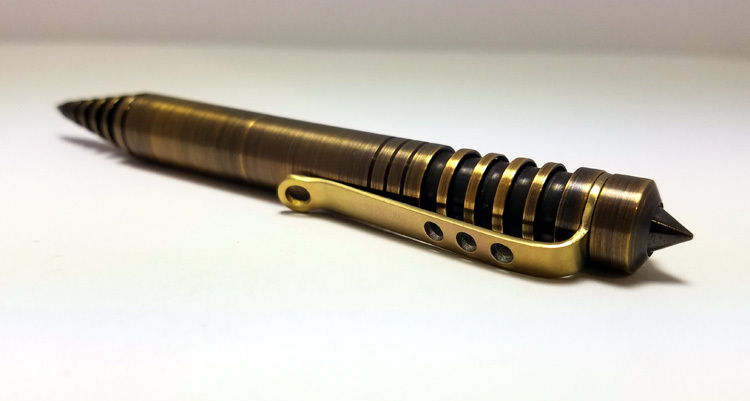 Pocket Clip is Titanium and hand bent. 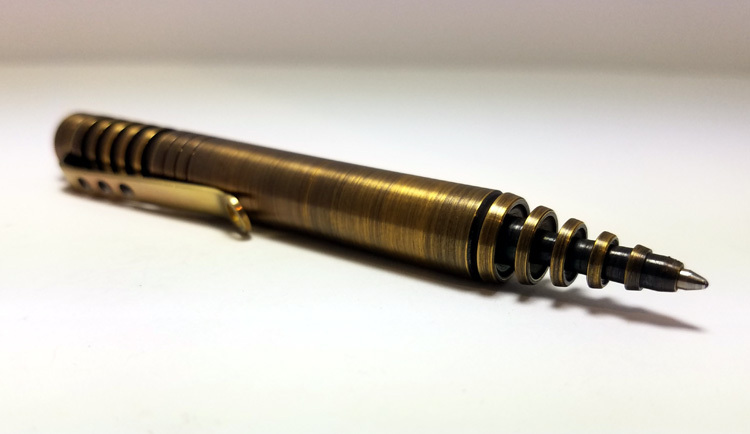 Pen insert is the Fisher Space Pen. 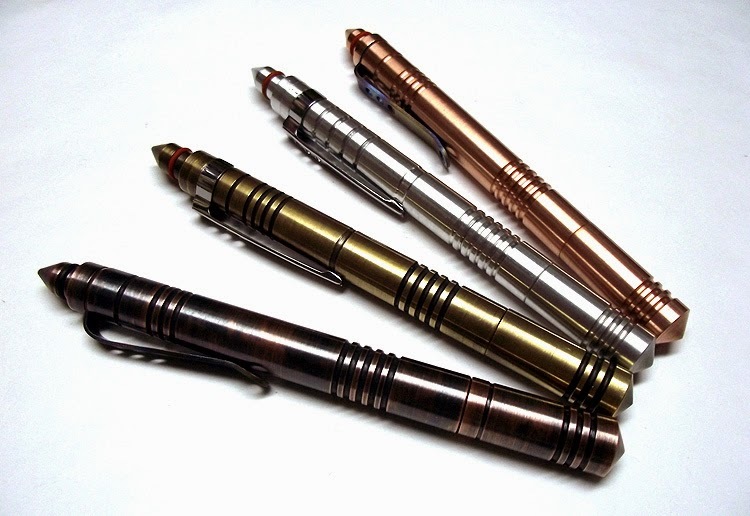 Each pen is made to look a little different - no two pens are the same. 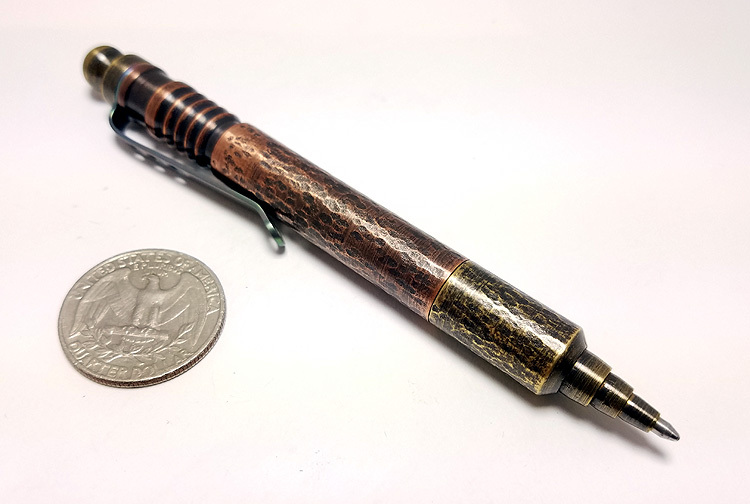 "I received the pen today and I am speechless right now. Workmanship is outstanding and your design and precision are perfect. I really like it." 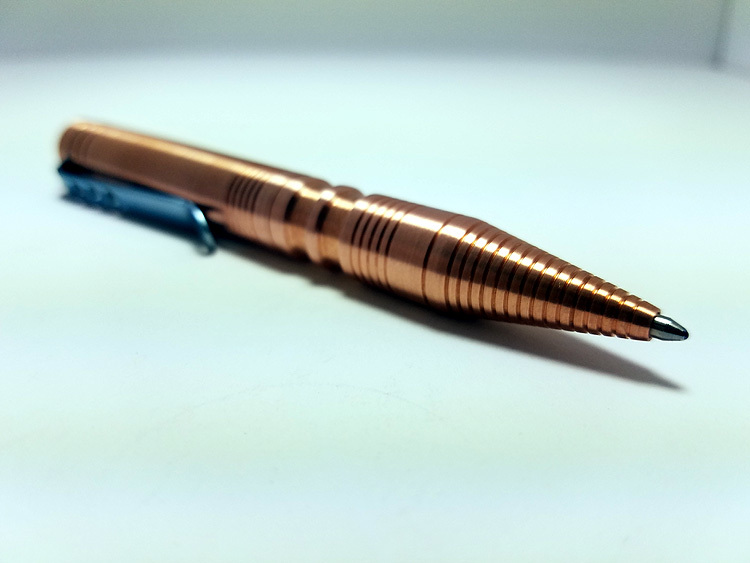 "My copper tactical pen. First one from TTpockeTTools. This thing is amazing. Heavy. Gorgeous. Beautiful to look at, and handle." 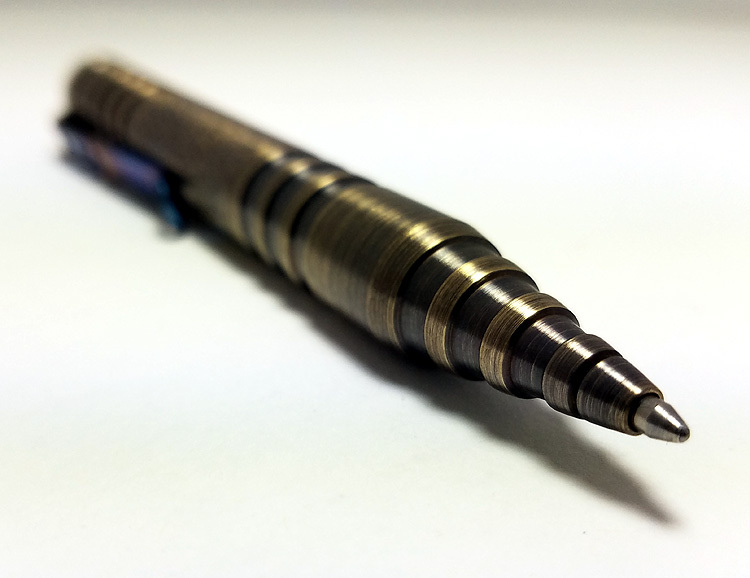 "Got her today, what an Exceptional pen! Your level of craftsmanship before was high, but this gem is superior! Thank you very much for making me this fine piece, don't know what else to say!" 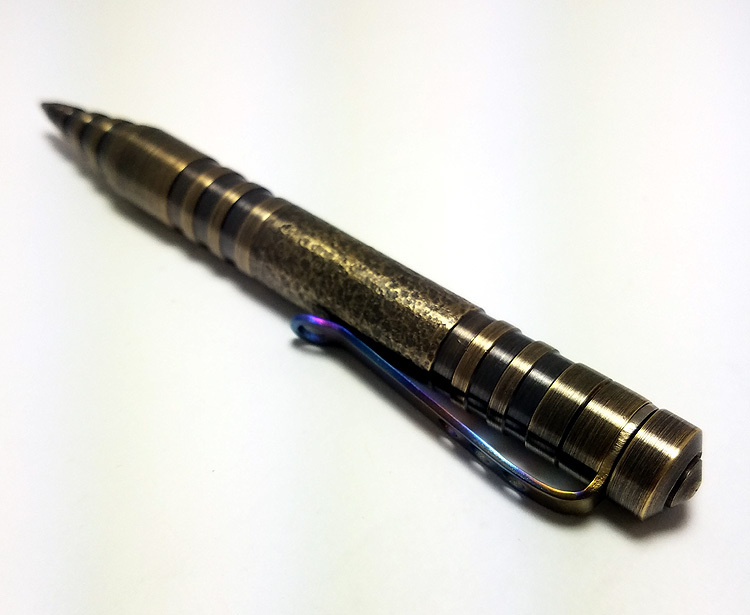 "Thanks Todd, my pen and bead are unbelievable. Thank you!!" 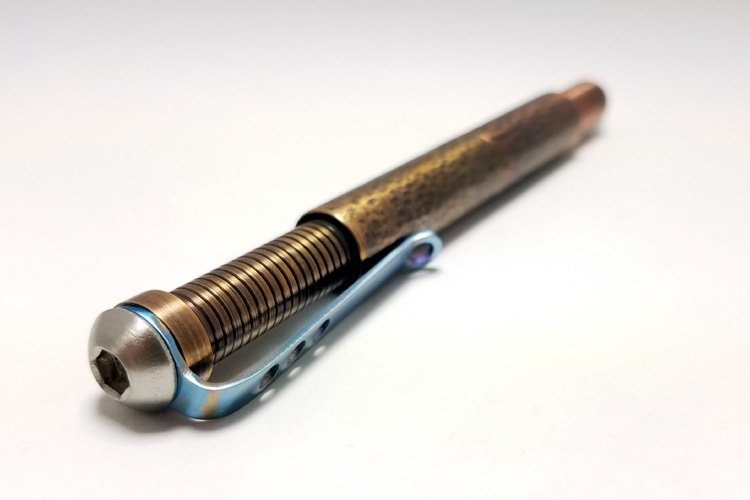 "Hi Todd, received the pen, man beautiful work! Thanks for the craftsmanship, definitely one of a kind." 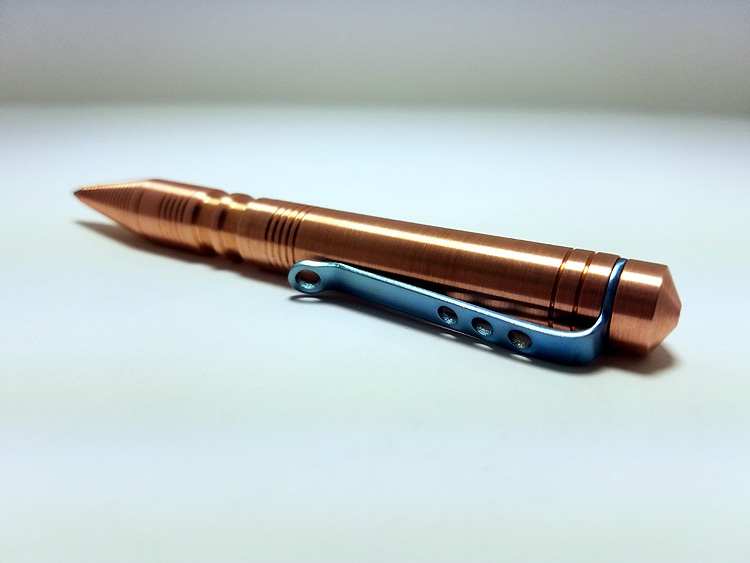 "Thanks for the awesome pen. 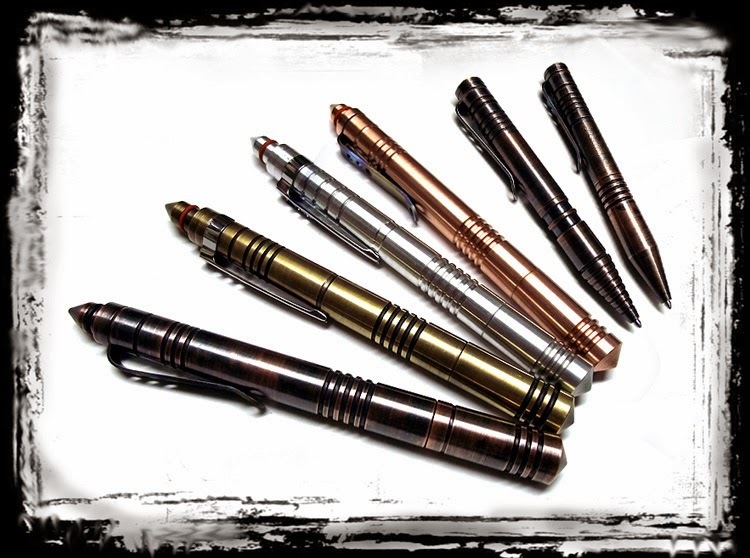 By far my favorite pen, and the bold roller is very smooth." "Received my Stinger and beads - just to let you know, I've worked as a heavy duty equipment mechanic for almost twenty years and then spent another twenty in other jobs but continuing doing things like hiking, cycling and kayaking, so I know tools, use tools and love tools. Your designs and products are practical, affordable and beautiful - great work (as usual) and thanks again. Continue the good work." "Todd just got the pen, you hit a grand slam with this one. 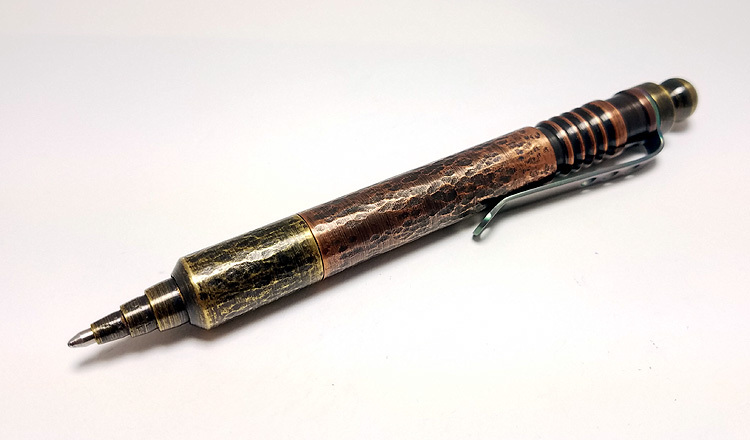 I have been a pen collector for 50yrs. This has to be my all time favorite." Copyright © TT PockeTTools LLC. Powered by Blogger.